Join with Ruach HaYam for an interactive study of Batsheva, in her own Voice. Study will be led by Penina Weinberg. 6:45 pm for schmooze. Bring veggie snacks if you wish. Study will begin promptly at 7:15pm. Batsheva’s story begins with a bath on a roof-top, where her life is overpowered by King David’s (2 Samuel 11-12). 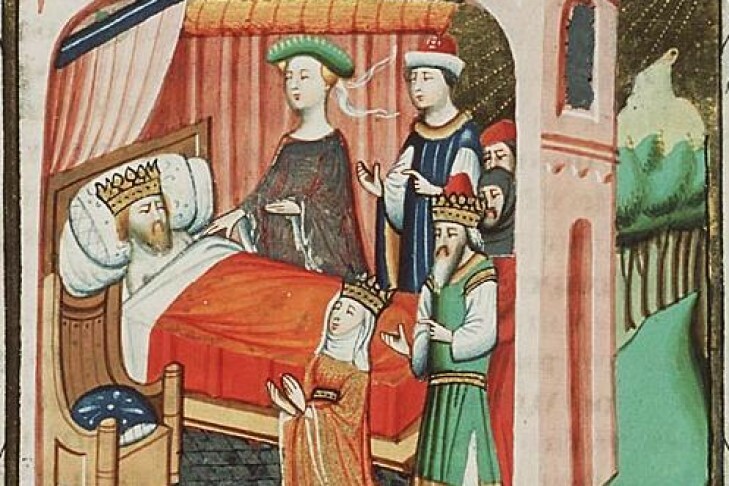 But at the end of King David’s life, Batsheva, as Queen Mother, holds the keys to the kingly succession and sits at the right hand of Solomon (1 Kings 1-2). We will do a close reading of the biblical text, looking for Batsheva’s own voice, and for a trajectory of transition. Following the text study, we will read Joy Ladin’s poem “Batsheva’s Version.” The poem was written prior to Joy’s transition to living her life as a woman. In her notes on the poem, Joy writes “I wrote ‘Batsheva’s Version’ as a tentative but conscious step towards gender transition…. Batsheva, trapped, angry, obsessively focused on the man whose life has swallowed hers, and passive-aggressively delighting in his destruction, is a kind of self-portrait.” Using this poem, as well as the biblical text, we will discuss what it means to be trapped and what it might take to transition. This is a universal question.